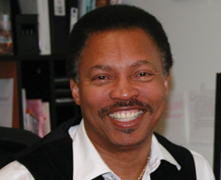 Ted Savoy is a Design Consultant with 35 years of experience in the foodservice industry. He has developed a diverse resume having designed and consulted on small privately owned restaurants to one of the largest commissaries in the country. He has also had the opportunity to develop foodservice designs for hospitals, hotels, assisted living facilities, prisons, food courts, theme parks amongst others. Working as Vice-President of operations/design for a leading foodservice equipment dealership prepared Ted for his role as a Partner with Savoy-Brown Consultants. In the position of VP of operations/design Ted oversaw the design, installation and startup of hundreds of foodservice operations throughout North America and the world. Today, Ted is responsible for the design department at Savoy-Brown Consultants where he oversees all foodservice designs. Ted, along with design software from Archicad and Graphisoft has developed 3-d foodservice objects to help Savoy-Brown’s clients to have a better understanding of their restaurant design. Ted insists that the opportunity to view the completed project in its finished state before construction begins is an extremely valuable tool that this technology provides.